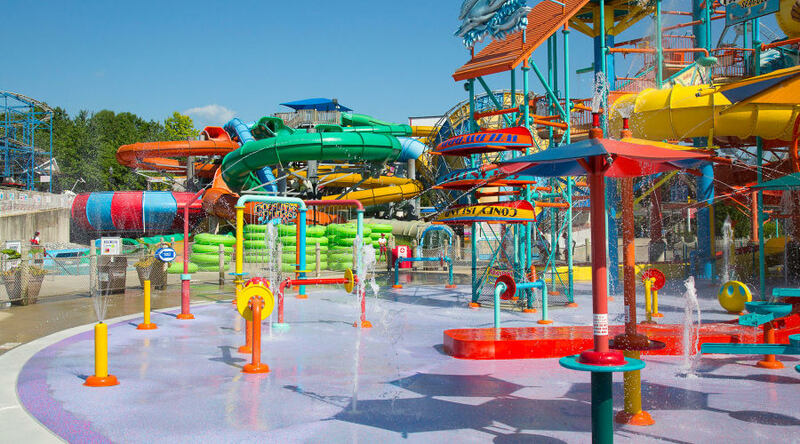 East Coast Waterworks℠ attraction features 7 slides, 2 crawl tunnels, a 10,000-gallon tipping bucket, nearly 600 interactive water toys, and more than 54,000 gallons of splashing fun for all ages. 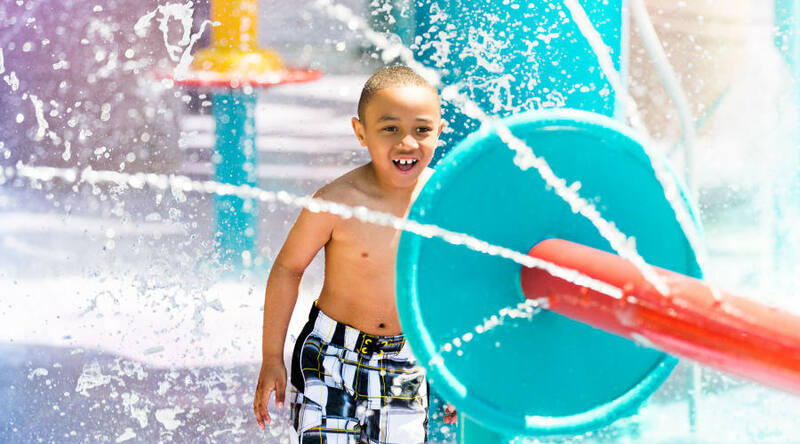 Get ready for fun-filled pull ropes, tip cones, and cross bridges as you explore each watery level! 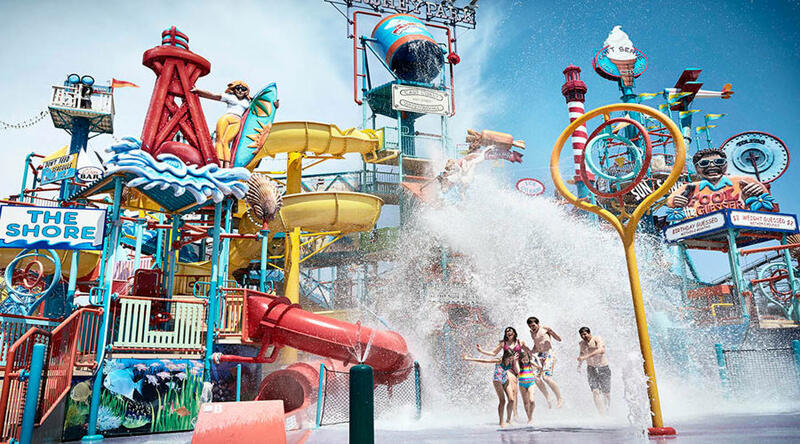 Only appropriate swimwear is permitted on the attractions. Revealing bathing suits, shorts w/ rivets, snaps, zippers, metal ornamentation, cutoffs and jeans are not permitted. 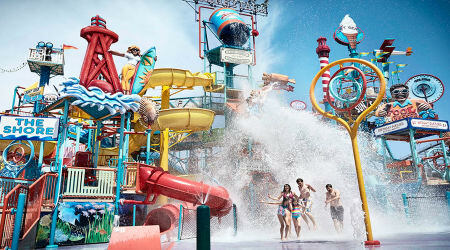 Parents accompanying toddlers in the children's play area must also wear bathing suits. This ride may not accommodate guests of a larger size (height and/or weight). The weight of a rider may not exceed 300 pounds on the slides. The slides at East Coast Waterworks have separate height restrictions and they vary per slide.